High blood pressure or hypertension is a common cardiovascular condition that affects people of all ages. In fact, more than 40% of adults over 25 are affected with hypertension. According to the Mayo Clinic, this condition occurs when the blood passes through the arterial walls with greater force causing health issues, such as heart disease. In other words, the more blood the heart pumps and the narrower the arteries, the higher the blood pressure is. If left untreated, hypertension often precedes serious life-threatening conditions, such as heart attacks and strokes, which is why early detection and proper treatment are essential for overall health. There are several factors that contribute to high blood pressure and the most common include high LDL cholesterol, physical inactivity, stress, and poor diet. The medicinal properties of raw garlic in relation to heart health have long been known and used as part of natural medicine. This vegetable is highly beneficial for treatment of high blood pressure, high cholesterol, coronary heart disease, heart attack, atherosclerosis, and reduced blood flow due to narrowed arteries. Garlic owes its strong medicinal properties to allicin, its active ingredient, which gives much the same effects as most hypertension medications. Garlic is extremely helpful in reducing LDL cholesterol, relaxing blood vessels, and preventing the formation of angiotensin II. Cucumbers provide numerous health benefits as well. This vegetable is rich in water, potassium, magnesium, and fiber. 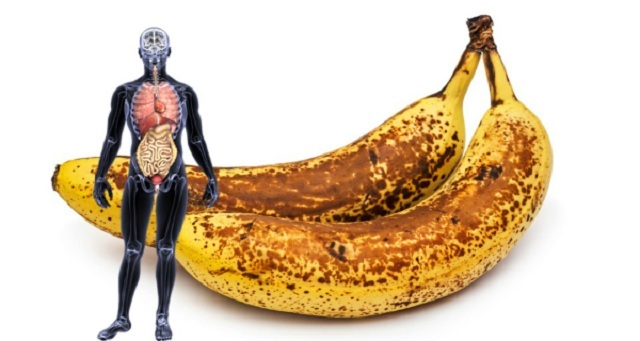 Potassium is one of the most beneficial minerals for heart health because it regulates the sodium content in the cells; high sodium has been linked to atherosclerosis. Fiber, on the other hand, reduces cholesterol, promotes weight loss, prevents type 2 diabetes, and keeps blood pressure under control. While both garlic and cucumber have amazing health benefits on their own, they are even healthier when combined together. 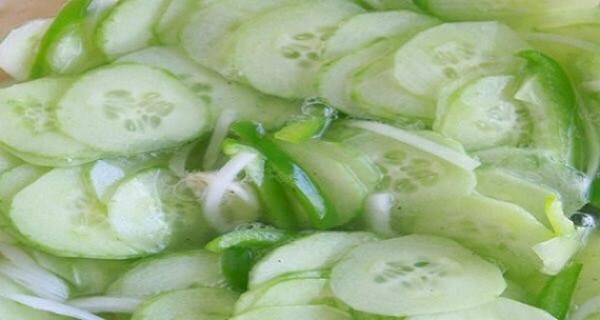 Here we recommend a cucumber-garlic salad recipe that will improve your cardiovascular health if you consume it on regular basis.